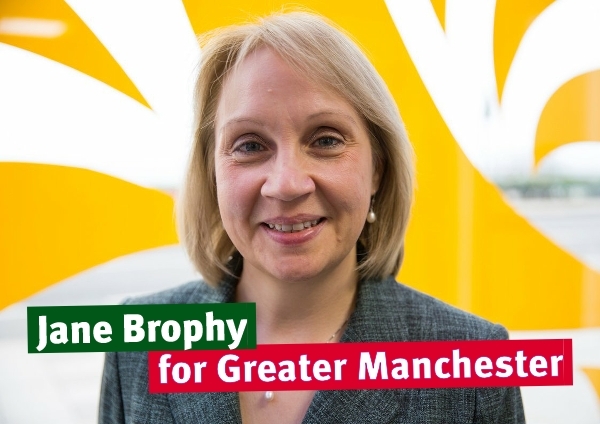 Only the Liberal Democrats will defend families in Oldham West and Royton from the scourge of tax credit cuts, by-election candidate Jane Brophy said today. 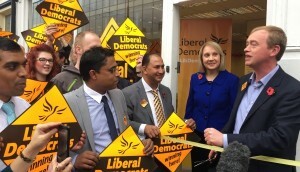 The party said it would fight the by-election with a firm message: Labour is in disarray and only the Lib Dems will stand up for local people in the face of brutal Tory cuts. Jane said: “The people of Oldham West and Royton need someone to stand up for them and the Liberal Democrats are the only party that will do that. Labour had the chance to oppose tax credit cuts and failed to do it. “The Tory tax credit cuts will affect 8,000 families in this area alone and it was only the Liberal Democrats who stood up for people by trying to stop these cuts completely in Parliament. 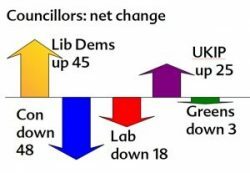 “When it came to a crunch vote in the House of Lords, Labour just voted to delay cuts to child tax credits and UKIP’s one MP voted in favour, while the Conservatives just cheered them on. We deserve better than that. “Michael Meacher was a well-respected MP and it would be an honour to succeed him representing local people in Parliament. Jane is an experienced local campaigner and has been a Councillor in Greater Manchester for over 15 years. She has worked for the NHS in Greater Manchester and been involved in public health nutrition in Oldham. “Jane is a hardworking campaigner and would be a fantastic local champion for Oldham West and Royton. The Greater Manchester Growth Deal, which will see over £450million invested into Greater Manchester over the next few years, was strongly welcomed by Greater Manchester MPs Andrew Stunell, John Leech & Mark Hunter when it was announced today. The deal will help to create 5,000 jobs, support over 75,000 people learning new skills and generate up to £80million in private and public investment. Manchester Withington MP, John Leech said, “This is welcome news for Greater Manchester and demonstrates the Government’s strong commitment to developing the prosperity of Manchester. We have already seen hundreds of millions of pounds of investment in Greater Manchester from the Government, improving infrastructure, creating jobs and allowing Manchester to reach its potential. The Greater Manchester Local Enterprise Partnership today agreed an historic Growth Deal with the Government which will see £476.7million invested in Greater Manchester, £169.7million has been confirmed in the first year, and as part of the Government’s on-going commitment to the Greater Manchester LEP it has provided an indicative aware of a further £307million of funding from 2016/17 onwards. Securing Greater Manchester and the North West’s place as a major centre for Life Science in the country with a new fund to be spent locally developing the industry. The Greater Manchester Growth Deal is part of a £12 billion long-term programme to revitalise local economies. The deals are the latest and greatest example of the British economy being rebuilt from the bottom up, and sharing the benefits of the recovery around the country. Responding to the Judicial Review of High Speed 2, Co-Chair of the Liberal Democrat Transport Parliamentary Committee, Alan Reid said today, “Liberal Democrats were the first political party to back a new High Speed Rail Network in the UK. This is a fantastic investment in our infrastructure and will help to build a stronger economy. “The first phase will support the creation of more than 40,000 jobs, while phase two will support around 100,000 jobs across the country, regenerating areas around the route and bringing new services and amenities for local communities.